A group devoted to organic food production will visit the operations of Hirzel Farms in Wood County Saturday as part of a 40-stop tour of Ohio sites engaged in organic farming and sustainable agriculture. 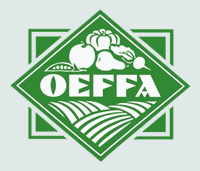 Beginning at 10 a.m., members of the Ohio Ecological Food and Farm Association will be at the Hirzel site near Luckey where they will view its grain cleaning and compost operations. “When the grains come in from the field, they have one step in between harvest and the flour mill. It’s the cleaning out of all the nonfood debris, weed seeds and the like, that can go to a food processor,” Lou Kozma, a Hirzel family member and manager of Hirzel Farms. Most farmers or farming operators just send grains as is on to a processor or milling operation, but Hirzel uses an air-blowing screening process to clean its grains and those of any farmer who contracts to use its cleaning process. The process removes “everything you wouldn’t want to see in a package sitting on the store shelf,” Mr. Kozma said. The value-added service makes Hirzel products more desirable because a mill can go right to the flour-making process, he added. Hirzel also has a process, called dehulling, which removes the outer covering of oats and a species of wheat called “spelt,” to make them ready immediately for processing. The waste it gathers from the grain cleaning, dehulling, and processing of tomatoes at its Hirzel Canning operation in Northwood is used to make compost that is reapplied to its 1,850-acre farming operations, 700 acres of which grow organic crops. Hirzel Farms grows tomatoes, cabbage, nongenetically modified soybeans, organic edible soybeans, feed corn, spelt, winter wheat, spring wheat, oats, alfalfa, and clover. Mr. Kozma said the Hirzel family starting grain cleaning in 1979 as a way to give it a competitive edge over its rivals. “What started out as a way to market our products turned into a custom cleaning operation for us and for others. We now have 20 area growers that feed into the cleaning facility,” he said. Hirzel began a composting operation to dispose of its cannery and cleaning waste. The ecological food and farm group began its tour June 11 at a dairy farm in southern Ohio. After the visit to Hirzel Farms, the group will head to a poultry farm in central Ohio. Read the original text of this article at The Toledo Blade.